For my granddaughter’s 1st birthday I made a princess theme and thought out the party. I dressed her up with a different princess dresses. 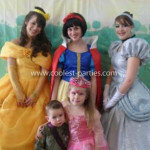 I also had 5 girls dress as the princesses. All the kids and even the adults loved the idea. I made her 5 pinatas – one for each princess to hold up for the kids to break. This was the greatest birthday party I have ever done. It was like a dream come true. I just loved to see the face on all the little ones. I wish I had the money to do these party for more kids. 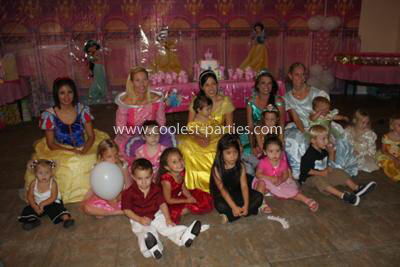 My favorite part was when my granddaughter came out dressed as Jasmine – she looked adorable. The party was done at a hall. We fixed up a wall with the princess theme. Her cake was a castle. 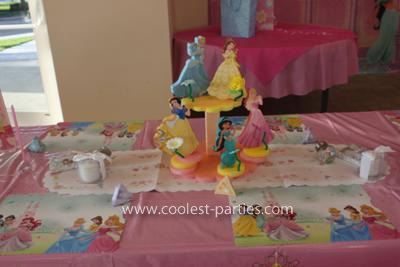 The centerpieces were made of foam and it had all five princess on it. I also made coolers with flowers on top. Her invites were castle. It took me like 5 months to make everything for her party but it was well worth it. just have to say these pictures look awesome I loved it. 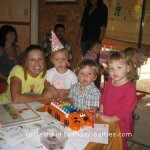 would love to have a birthday like this for my child. great job and thank you for sharing it. 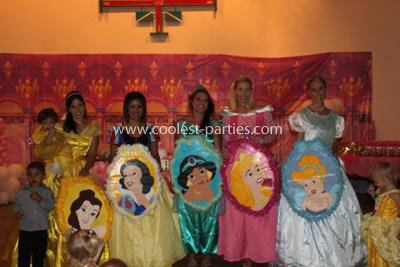 where did you get the picture of princess jasmine on the Pinata? Is it a balloon? Everything looked fab! Where did you buy those costumes of your grand daughter? I want to buy one for my daughter. Oh my god! where did you find the infant costume? 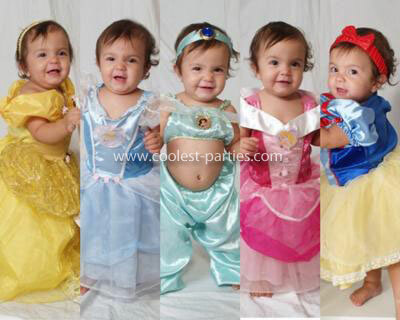 All the princess outfits where from Walmart. They’re in the dress up section by the toys if they still have them. All the decorations where handmade. As well as the piñatas. Were they individual or sold in a dress up set? How long ago did you purchase them? where can i find the princess jasmine costume ?